This, an odyssey through time, represents volumes of my pre-travel life, knowing this existed. 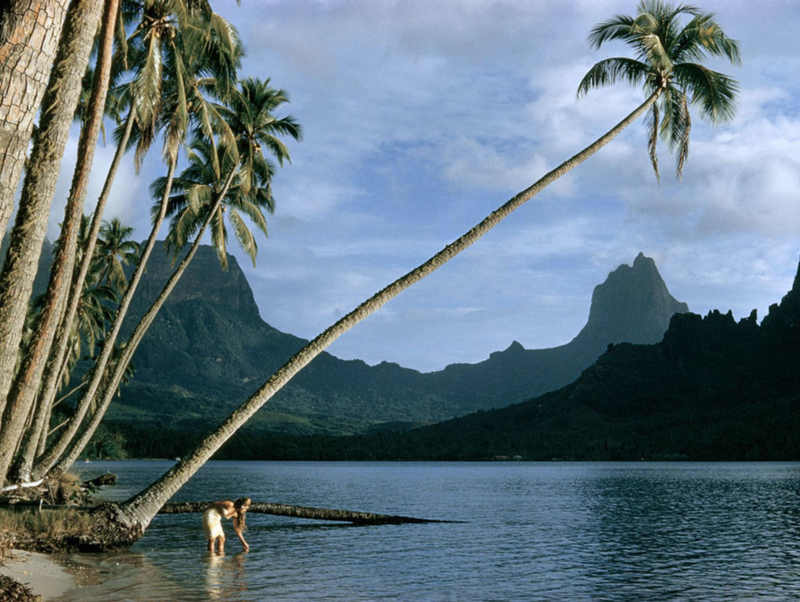 Storybook longing over seductive tropical images and tales of Oceania preceded baptism in French Polynesian seas. Yvon, an experienced traveler, emerges from belowdecks. His vision vanishes as the fantasy unfolds: an azure right-hander sprouts from the depths and heaves over the pink coral reef. “I think it’s every surfer’s dream…I see the same kind of waves that we all used draw during math class in school. The teacher’s talking up at the front, and you’re drawing little palm trees hanging over with these lines peeling around the point. 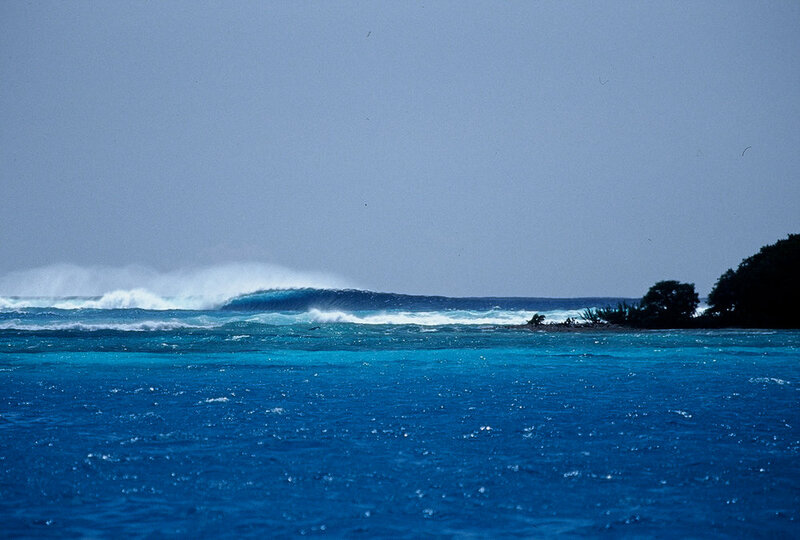 I get to see waves like that in real life, on a regular basis, with nobody out. Chris. New spot, first wave. Photo: Kew.